Steve Aoki is back, with an announcement of a massive UK tour for 2019, fresh from dropping his surprise collaboration with South Korean super-group BTS along with announcement of his highly anticipated album ‘Neon Future III’. 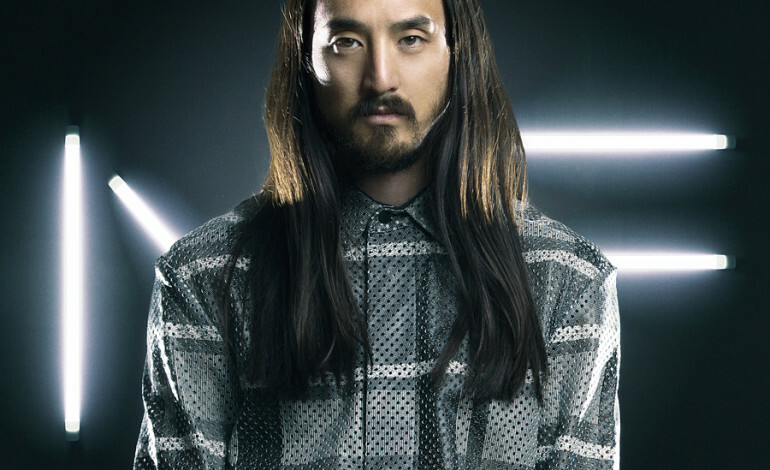 The two-time Grammy-nominated DJ and producer and EDM legend, Steve Aoki has today announced a UK tour. The electro house star will head to the UK in February next year, kicking off his run of shows in Birmingham’s, on the 14th of February 2019 before making his way across the UK concluding in London, on the 23rd 2019. Tickets go on sale on the 02nd of November, at 9am. Tickets can be purchased here. Renowned for his adventurous attitude toward genre-defying collaborations, Aoki revealed the newest chapter in the ‘Neon Future’ series last week. ‘Neon Future III’, which serves as his most pop-driven project to date, includes never before heard features with Blink-182, via their long-awaited collaboration ‘Why Are We So Broken'; Mike Posner, on the introspective ‘A Lover and a Memory'; and ‘Our Love Glows’ ft. Lady Antebellum. In addition, the album also includes One Direction’s Louis Tomlinson global hit ‘Just Hold On,’ which debuted at Number one in more than 40 countries and has since gone gold or platinum in 18 countries; Fifth Harmony’s Lauren Jauregui track ‘All Night’ which hit Number one on the iTunes dance chart; and the Spanish-language track ‘Azukita,’ featuring an all-star cast of Latin pop legends: Daddy Yankee, Play-N-Skillz, and Elvis Crespo, which is certified Disco de Oro & Platino Digital Single (Gold Disc & Platinum Digital Single) by RIAA in the US and the track also went certified gold in Mexico, Italy, Chile, and Argentina, and certified platinum in Spain. Aoki is one of today’s most successful American cross-genre artists, collectively counting 1.5 billion music streams on Spotify, with an additional two billion music streams on YouTube. As the founder of the trendsetting record label, events/lifestyle company, and apparel line Dim Mak Records, which he founded in 1996, Aoki has helped launch the careers of global acts like The Chainsmokers, Bloc Party, The Bloody Beetroots, The Gossip, and The Kills, among many others.